Hello everyone: I like to combine challenges with my cards whenever possible and today the Mojo Monday has a beautiful sketch by Julee Tilman and the Alphabet Challenge Blog is on the letter "F" for Furry Friends so I made this cute card with another stamp set from Penny Black with little mice that I love, this one is called Homemade, here is my card. I stamped the image onto Canson water color paper and colored it with SU markers, the aqua painter and a bit of my Prismacolor pencils, the pattern paper is from my stash. The die cut corner decoration is from Cherry Lynn and it's from a set called "Lace Corner Deco Dies", really pretty and they cut beautifully, the sentiment is from the Penny Black set. I added a bit of gold foil paper just for fun. The sentiment and the strawberry are from a Flourishes set called simply "Strawberries". "F" is for Furry Friends. Hello everyone: Here we are at Retro Rubber with a new challenge for you, I hope you give it a try. The theme is "May Flowers", since all those April Showers helped our flowers bloom, we want to see lots and lots of them in our gallery so go and look for your older than one year images and give them some love and ink, here is the card I made with a 3-4 year old stamp from Northwoods called Petunias with two Butterflies. The image was stamped onto Canson water color paper with Stazon Jet Black ink and colored with SU markers, aqua painter and Prismacolor pencils, I added gold gel pen to the butterflies, to show the veins and details on their wings. After changing my mind several times about the layout for this card and since it's a pretty big image, I decided to fussy cut it so I could use the pretty pattern paper that coordinated so well with the Petunia's colors, I die cut a piece of vellum just so this flowers wouldn't be lost in the background. I added a little tag with a sentiment from my stash and a sheer pink ribbon for a bit of detail. The sentiment was die cut with a Spellbinders die set called "Oval Regalia", both flowers and the sentiment are from a retired Flourishes stamp set called "From the Garden", this set is very old, Flourishes closed it's on line store about 3 years ago and I know I had this stamps way long before that. Here is the inspiration photo from Retro Rubber that inspired my card. I would like to enter my card the Time Out Challenge "Inspired by Words" challenge. The words are "May all your Weeds be Wild Flowers", we can use this phrase any way we want to, I went with Flowers. I hope you give our Retro Rubber challenge a try, please remember to use stamps that are at least one year old and, if it's at all possible, let us know their age. For more inspiration, please visit my Designer Team mates' blogs to see their beautiful creations. Thank you so much for stopping by, I love reading your comments and I always try to reply, sometimes time just escapes from me so I might take a little bit to respond, but please know I read each word you leave me and I appreciate this more than you know. Or bang or bum.....Hello dear friends: The Less is More has a fun challenge this week, they want to see things that go "Bang or Pop" so it was the perfect chance to use this stamp set that I got a couple of months ago after hunting for it for at least 2 years!!!!! True, true.....it's a Flourishes set called "Patriotism on Parade" and it's fabulous. When Flourishes closed it's doors a few years back, I was left with a very long wish list of beautiful stamp sets and this one was one of them. By the time I went to buy it, it was gone!! so, I looked everywhere without any luck until I finally found it on Christine Okken's blog one day when I was checking what she had for sale and, when I saw it I immediately pounce on it. She still has a whole lot of Flourishes images, if you want to get your hands on some, check them out HERE, just click on the "for sale" at the top of her page. Here is my card. There are several images, this one comes in a silhouette image too but I love this one where you can see the kids outfits, so sweet and beautiful. I paired this image with some fabulous fireworks images from The Ton called Pyrotechnics, perfect for Independence Day. I was itching to use this stamp sets together and the Less is More challenge gave me that chance, woo hoo!! I stamped this image onto a panel of Ninah Solar White card stock with Versafine Onix Black ink and heat embossed it with clear embossing powder, the fireworks were stamped with Versamark ink and heat embossed in glitter gold, glitter green and Calypso Coral from SU. I hope you can see the shimmer. 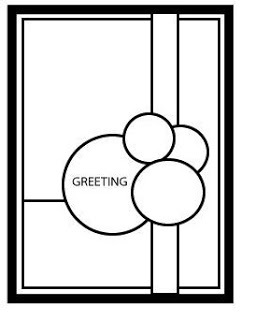 Here is a look at the finished inside of my card. All of this images are from the set. This is the stamp set I used. Hello dear friends: I really need to get some pretty stencils, I only have ONE!! and that is only because my friend Claire Grantham, from Retro Rubber challenge, kindly sent a box full of goodies she was just giving away, it's a Honeycomb stencil and I've used it a few times to participate in challenges that are asking to use them. 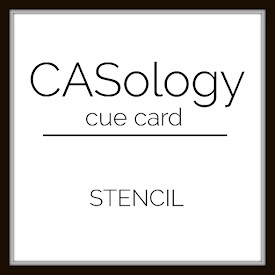 So my card today will be linked to the CASology challenge with a CUE WORD "STENCIL" and the Try Stamping on Tuesday sketch challenge. This card has a combination of the very old, the bees, from a retired Flourishes set and the very new, the Peony, from a recently released set from Altenew called Peony Bouquet, this set has dies but I don't have them so, I just fussy cut the flower and the leaves, I think I've gotten better at fussy cutting, I've been doing it a lot lately. For this panel, I sponged some SU Hello Honey ink using the stencil and then, I stamped the flower and the leaves onto some Ninah Solar White card stock using some Altenew inks, cut them and paste them so I could stamp the little bees to follow the sketch, well the sketch is in reverse but I had to change it because the little bees are facing to the right. As always, I added a bit of highlights to the petals of my flower and the bees with Prismacolor pencils. Here is a look at the finished inside. The sentiment is from a Power Poppy set called Best Day Ever.